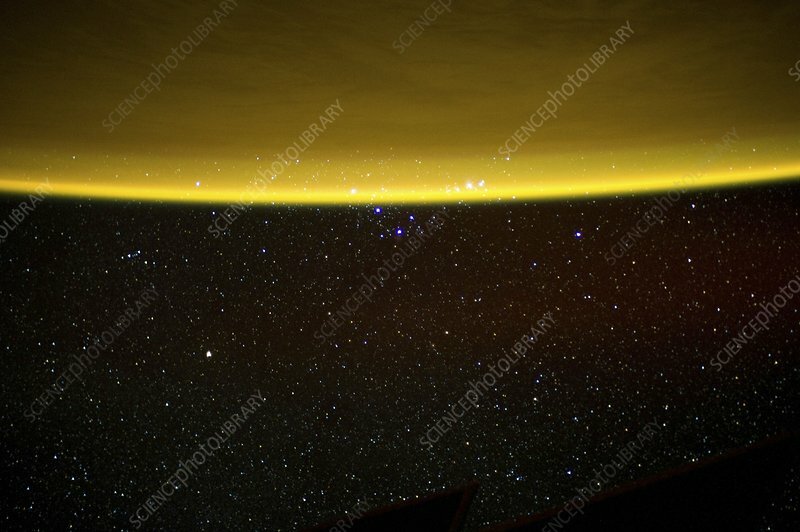 Earth's atmosphere, ISS image. Photograph of the Earth taken by astronauts aboard the International Space Station (ISS). This image shows Earth's atmosphere glowing golden yellow due to the angle of the Sun. Photographed 25th March 2012.